Freiraum (Spheres of Freedom) in Carlisle is a grassroots creative project developed and managed by AWAZ Cumbria. Working with Cumbria based artists and groups to explore ideas of isolation and freedom in our society, we have used a range of creative arts practices to find answers to the question “how can we understand isolation and how can we overcome it?“. Freiraum in Carlisle is the result of a close collaboration between AWAZ Cumbria, Bluejam Arts, Carlisle Youth Zone, Artists from SpeakEasy, Linda Fitzgerald (Artist), Sue Castle-Clarke (Fellside, Ousby), TOLIVAR Production, the Frieraum in Carlisle curator Jane Dudman, and our partners ArtBox Creative Arts Management,Thessaloniki, Greece and The Goethe-Institut (London/ Glasgow). Freiraum is a project of the Goethe-Institut in Europe in collaboration with 53 partners in culture, arts and civil society. About 40 European cities explore the question: What does freedom mean in present-day Europe? Carlisle – How can we understand the isolation and how can we overcome it? Thessaloniki – Could a new media exhibition about European identity become your freedom zone? In the 2nd phase, Aftab Khan, Development Manager, AWAZ Cumbria facilitated a FREIRAUM Workshop based on ‘Freedom Workshop’ methodology for the members of diverse communities, artists and community activists on 28th March 2018 at Cumbria CVS, Shaddongate Resource Centre. 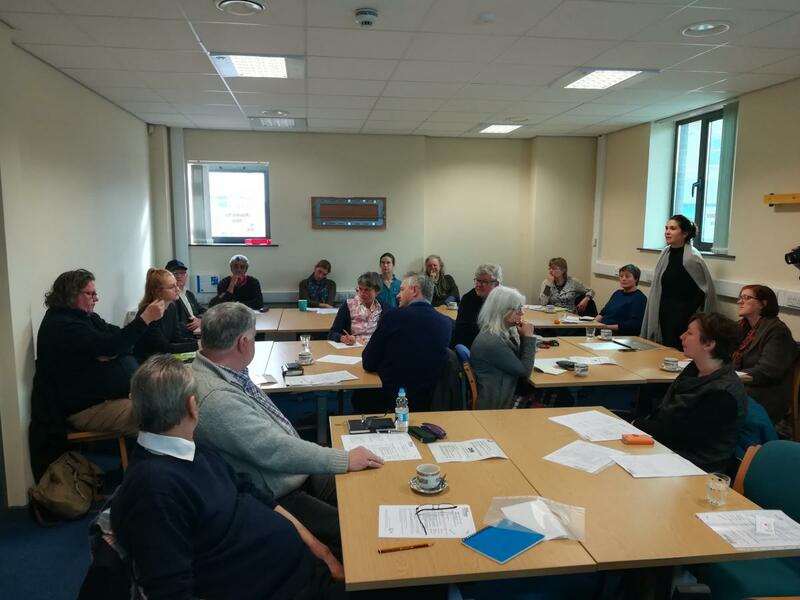 The participants contributed to the design and development of the Freiraum project delivery plan and identified key priorities and milestones for creating Freiraum (Spheres of Freedom) in Carlisle.